The first micro-RWELL, produced in 2009, easily fitted inside a drawer of the KLOE/LHCb clean room. It had an active area of 5 x 5 cm2 and it had not even been set on a PCB yet. 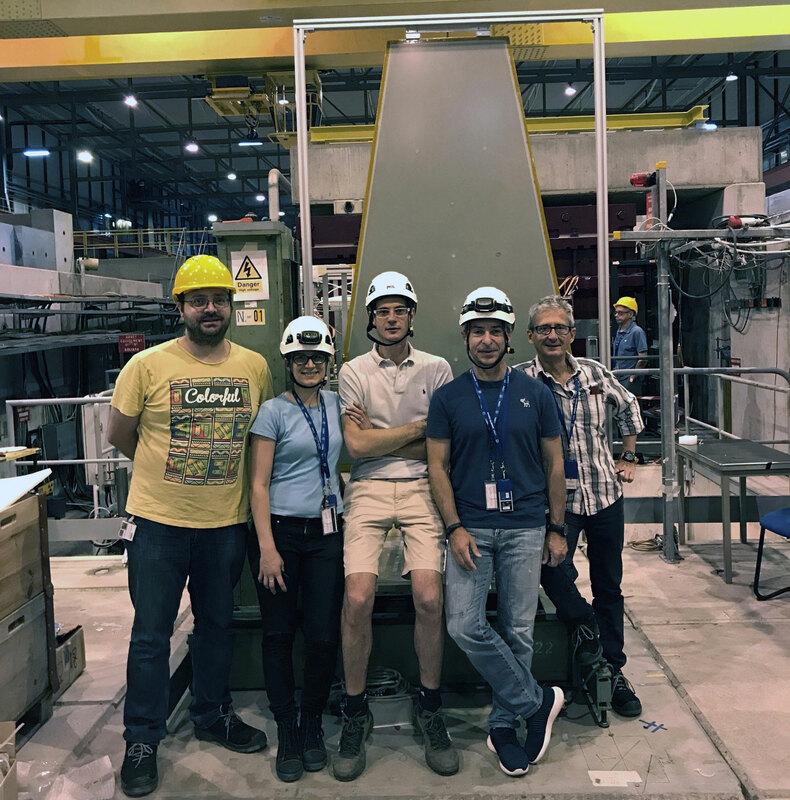 As time went on, micro-RWELLs first became 10 x 10 cm2 prototypes (LHCb) and then trapezoids of a half square meter or more. The challenge was won, as recently confirmed on the particle beam of the H4-SpS area at CERN, where the micro-RWELL, developed within the framework of Phase2 upgrades for CMS, built in collaboration with the company ELTOS SpA of Arezzo and CERN PCB-Workshop, was characterized (see the image). 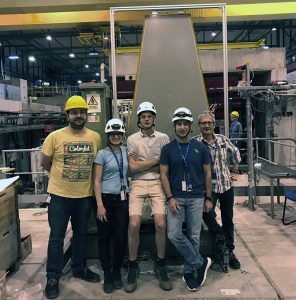 The collaboration among Frascati, Bologna and Bari realized the biggest µ-RWELL ever built so far, with very promising results, proving the ductility and high efficacy of this technology for detectors of various sizes and different applications, also outside high energy physics.